Place all ingredients in a blender until thoroughly combined. Add in more blue food coloring if necessary, to achieve Minnie Mouse’s classic blue look. Pour in a bowl, and top with banana slices to be your “polka dots”. 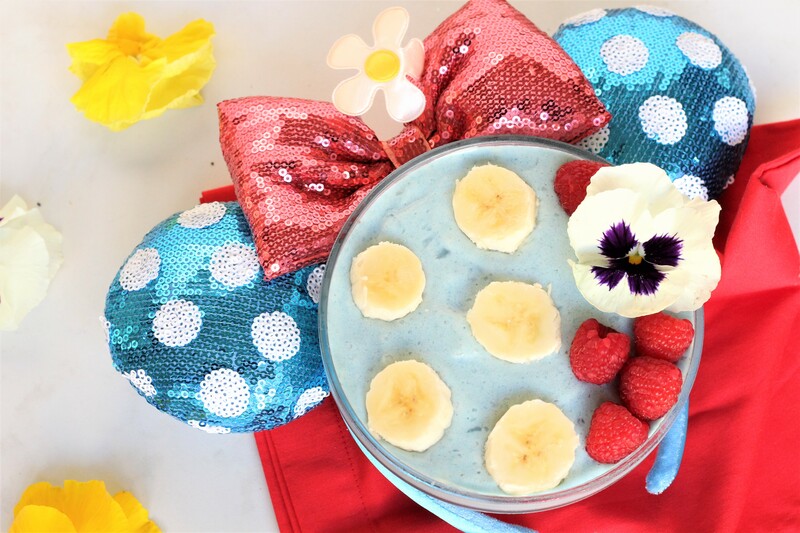 On the top of your smoothie bowl, add in raspberries or strawberries (to represent Minnie’s hat), and a white edible flower to represent Minnie Mouse’s white flower on her hat. Enjoy a very sweet (and healthy) polka dotted treat!